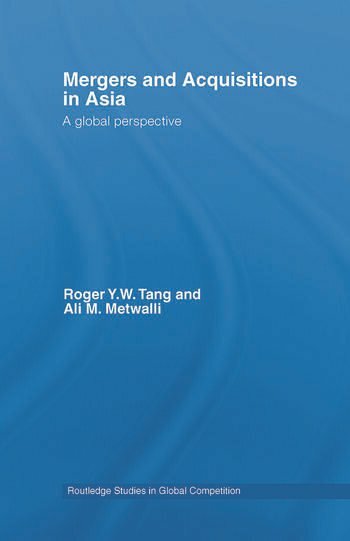 This book examines recent trends towards mergers and acquisitions in Japan, Greater China and Southeast Asia from 1990 to 2004. Comparisons are made among regions and between countries of particular regions. The economic profiles and investment climates of key countries are discussed and many issues are examined from the perspectives of US-based and UK-based investors because they play significant roles in Mergers and Acquisitions activities in all regions of the world. The practices and management strategies in Asia are also compared with those observed in the United States and the United Kingdom where appropriate. Roger Y. W. Tang is The Upjohn Chair Professor and Ali M. Metwalli is Professor of Finance at Western Michigan University, USA.